Birth Stones are reputed to shower you with the manifestation of sound health & positive energy. 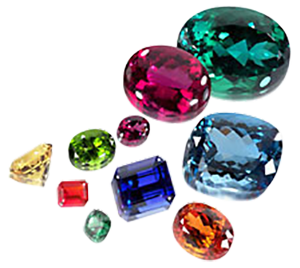 Gemstones that are compatible with your birth date infuse harmony in your emotional environment upon possession. Nowadays, the internet informs you on what stone will be the most compatible, but they must be possessed only after keeping several technical things in mind that draw their derivations from the science of Astrology. If you want your birthstone to attract positivity in life, the weight of the gemstone should be in a certain proportion to your body weight & should only be adorned during an ideal lunar phase. Also, one must be extremely careful from being duped by imitation stones that fail to deliver the desired results in your life. Orient Jewellers make sure both of these problems are efficiently catered to. 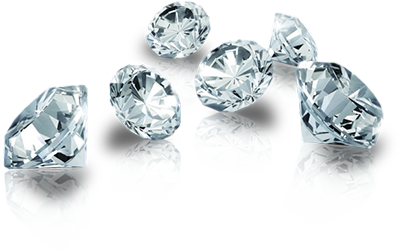 We provide you with exclusive IGI Certified authentic gemstones only. And we offer you highly experienced astrological guidance to expertly counsel you regarding the adornment of precious birth stones. Our in house astrologers who have years of experience in providing stellar astrological guidance to our esteemed customers. a. Garnet is the birthstone for people who are born in January. It is believed to steer its wearer from the darkness towards the brighter aspects of life, instilling in them a newfound positivity. Garnets protect their bearers from physical harm and the chronic influx of mental negativity. They initiate the revitalization of your chakras, speed up your healing mechanism & stabilize your physical & mental health to a great extent. b. Amethyst comes from the Greek word "amesthystos" meaning sober. It is the birthstone for people born in February. Hence, this stone is believed to bless its wearer with a great amount of self-control, a helping him stay away from instances of intoxication. It stabilizes a hyperactive mind & promotes the establishment of inner peace. Amethyst is believed to relieve its wearer of blood impurities and heals the lungs. Its presence in the household purifies the air and surroundings of negative energies. c. Aquamarine is for the people born in March. It helps alleviate medical conditions in the throat, help soothe down allergies & thyroid. It's serene, blue color helps stabilize the hormones of the wearer & help enhance concentration & immunity. An Aquamarine helps rekindle love, hope & positivity in the life of whoever chooses to possess this beautiful stone. Every pregnant woman should wear it to enhance the health & well being of herself & her baby. d. Diamond was the weapon of Indra, the Hindu lord of lightning. This stone is ideal for people born in April. Being strong & everlasting, it enhances the healing effects of other stones in its presence. It restores the wearer’s energies and rejuvenates him through & through, distilling positivity & metabolism in abundance. It also supports the increment of intelligence & mental will power. e. Emerald is for the people born in May. This birthstone promotes fertility & love. It was Cleopatra’s favorite gemstone and the Romans dedicated this stone to the goddess of love & beauty, Venus. Emerald is believed to help combat vision & nasal discomforts. It also helps in the regulation of glucose level in the blood & wards off common infections. People with heart, bone and lung disorders should keep an emerald in possession. f. Pearls are for June babies. An inherent symbol of purity & affection, they’re believed to be but hardened tears of joy that escaped Aphrodite’s eyes. Short-tempered people should possess a pearl to maintain composure and avoid encountering unpleasant situations. It boosts creativity & success and soothes digestion as well. g. Ruby is the gemstone worn by people born in July. A symbol of love & passion, rubies drive out negative energies from the wearer’s mental & physical atmosphere with utmost effect. It instills enthusiasm & satisfaction in the wearer’s mind & introduces success in their endeavors. Rubies reduce the feeling of tiredness and purify the blood. h. Peridot is the birthstone of August babies. The National Gem of Egypt, these light green gemstones are gifted as a token of love on the 16th anniversary of marriage. When engraved in gold & worn in the right arm, Peridot becomes the ultimate talisman to protect you against all the evil energies and nightmares. It eradicates jealousy & venom from your being. Helpful with the treatment of dysfunctional bowels and nourishes the heart. i. Sapphire is for September babies. This exquisite azure gemstone derives its name from the Greek word "Sapheiros" meaning blue. The color calms down the wearer, increases his focus & combats instances of a nervous breakdown. It is associated with wisdom & transcendence, can help people fight ulcers & nosebleeds. j. Opal is worn by people born in October. It is believed to enhance the assets the bearer is naturally born with. It is a symbol of justice & harmony, and wards off evil. It regulates the levels of insulin & purifies the blood, and prevents overall bad health. It strengthens your immunity & makes it less prone to infections. k. Topaz is the gemstone worn by people born in the month of November. It enhances the intellect of anyone who possesses it. Topaz effectively alleviates physical pain & promotes harmony. Wards off negative energies surrounding the wearer & help get rid of the loss of appetite. It stimulates immunity & metabolism all the same. l. Turquoise is the gemstone for December babies. Turquoise is a French word for Turkey. This stone is one of the oldest ever mined and can come in dark & pale varieties depending on the concentration of iron & copper in it. It was used as a talisman, believed to change colors in the presence of evil. Turquoise heals the body, soothes acidity, digestive problems & infections.